Are you constantly finding yourself running out of storage space, or finding that your ever-growing wine collection is becoming increasingly difficult to store properly? Cranville Wine Racks are pleased to offer you the ideal solution to your problems, by introducing our innovative range of double-depth wine racks. These racks are the same as our traditional and ever-popular wood and metal designs, yet simply come in a new double-depth format. Practical, useful, adaptable and versatile – all of these are words which come to mind when you switch to one of our double depth wine racks. After all, double the depth means double the storage space, which means that this range makes for an even more effective wine storage solution. Functionality is the key with this range and it is a fact that was kept firmly in mind throughout the design and building process. 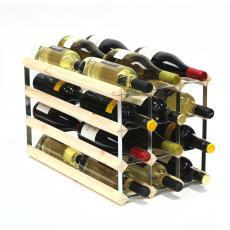 Due to this, we aim to make life as easy for you as possible, which is why your chosen wine rack will arrive to you fully assembled and ready to be stocked up for immediate use. 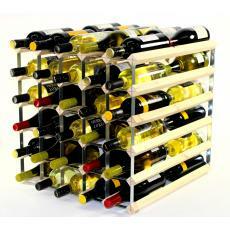 Each and every wine rack is sturdy and reliable, ensuring that you are investing in a secure wine storage solution that is guaranteed to last you for many more years to come. 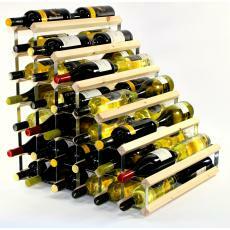 In addition, we are pleased to be able to offer you the opportunity to customise your chosen wine rack even further. You can choose from a wide range of wood finishes to suit your chosen look, with options including black, natural pine, dark oak stained and walnut stained. 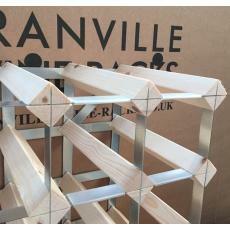 Are you worried about whether the rack will fit into the available space within your home or business? 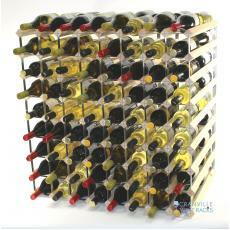 We offer an assortment of standard sizes, too: 24-30-60-84-144 as well as our unique under stairs wine rack which can hold up to 54 bottles. 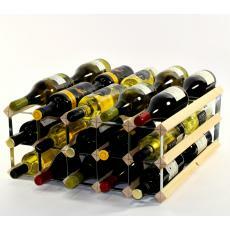 We know how easy it is for your wine collection to continue growing and expanding, which is why you will also be pleased to know that each of our wine rack combinations can quickly and easily be fitted together using our bespoke joining packs. 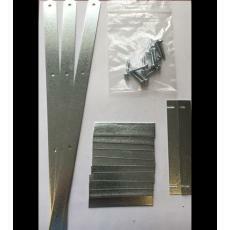 This will allow you to create your own custom-sized storage system – the ideal way to meet your individual requirements. 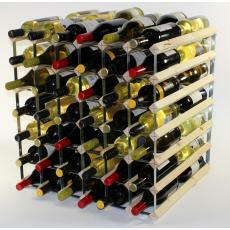 If you would like more information or any further assistance, you can also drop us a call on 01234 822977 and we will do our very best to design, build and deliver the perfect wine rack for your needs.